First of all- WHAT IS LOMOGRAPHY? The Lomographic Society was founded 1992 in Vienna, from Austrian students who discovered the Russian Lomo Kompakt Automat camera and created a totaly new kind of photography: Lomography. The headquarters in Vienna started as an art project, organizing exhibitions, parties and events whith thousands of people from Vienna partizipating as artists and as guests. Nowadays the Lomographic Society has a worldwide network of Lomo-Embassies and consulates αnd the lomographic idea has rapidly been carried around the globe, through exhibitions and events. LOMO-CAMERAS: Apart from the special idea Lomo also offers special cameras...not only the classic old russian LOMO, but, our new products with 4 or even 9 (!!!) 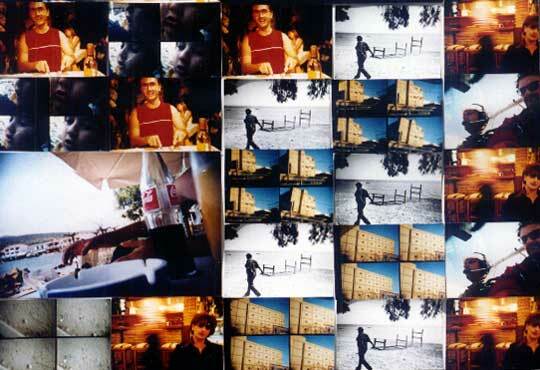 linses, SUPER-SAMPLER, ACTION-SAMPLER, POP 9,... producing several shots with only one click, giving u the opportunity to catch movements on a normal-sized photography (see our gallery)!!! 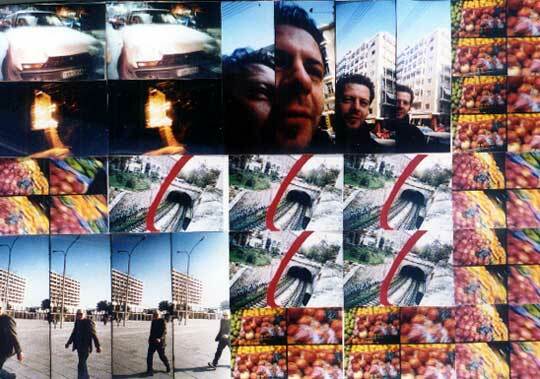 LOMO IN GREECE: Since last year Geda Böck (Lomo-embassy Thessaloniki) and Vasilis Karkatselis (Photography Center) are building up a “branche” of lomographers in Northern Greece, connecting people who already know LOMO-cameras and getting new ones interested, cause after all, everybody can join us!!! We are opened to everybody who wants to find his/her destination as a passionate lomographer...try it! If u have already a Lomo-camera, show us your pictures, if not, borrow one from us and learn to know (and love) it! EVENTS: Our first project in thessaloniki happened last winter, over months we collected greek Lomo-pictures (from all over the country). 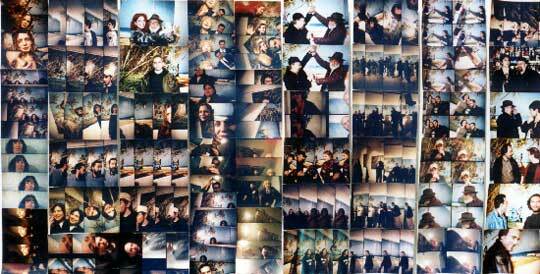 In February we took over the basement of the photograpy center for two weeks, exposing and collecting pictures at the same time, building LOMO-walls from many different pics and celebrating beach-atmosphere in winter...see the results here! PLANS FOR THE FUTURE Our next project is already under construction, more about this u can find under the section “exhibitions outside the photography center”. Just to know...there will be an exhibition in October, with lots of happenings, in the center of the city, and u are welcomed to participate!! !